Our adult sailing classes allow people of any age, experience, or ability to learn new skills and grow as a sailor. 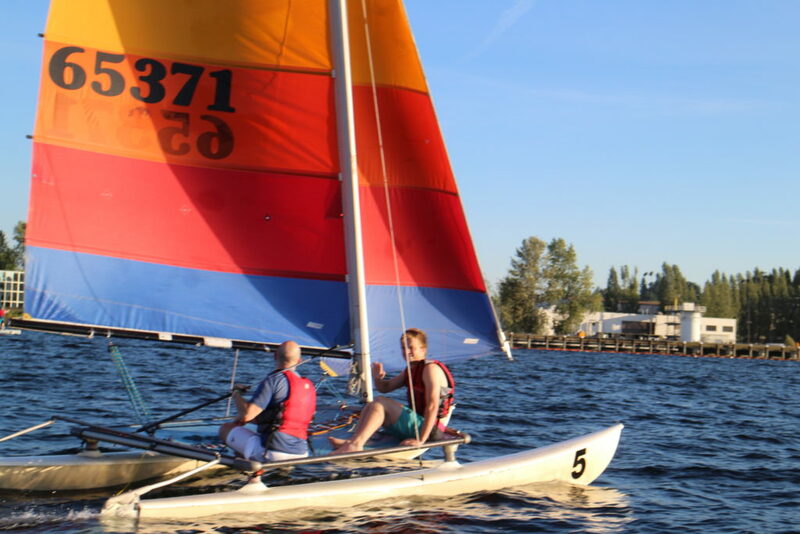 Whether it’s your first time on the water or you’ve been sailing your whole life, we have a class for you! 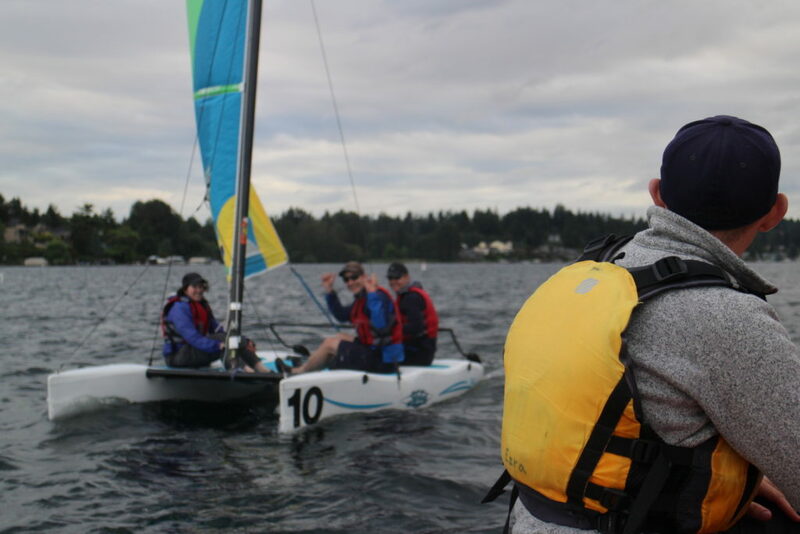 Our US Sailing Level 1 certified instructors use both on-the-water and on-shore activities to teach essential boating safety along with all the skills needed to rig and sail a variety of boats. 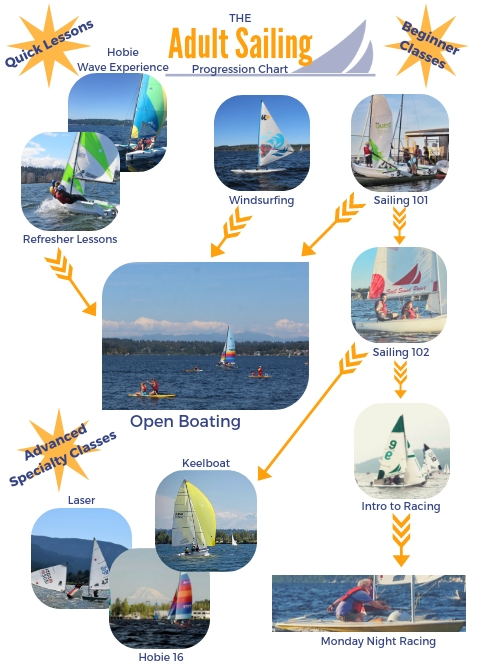 If you’re wondering what class would best suit you, check out our “Adult Sailing Progression Chart” or contact our office. Our complete class schedule is listed below. For full descriptions of each class view our 2019 Program Book. Registration opens February 1st at noon PST. At Sail Sand Point, we believe that finances should never be a barrier to getting on the water. For that reason, SSP makes scholarships available for all camps and classes. For more information or to apply for a scholarship, visit our Scholarships page. The application is short and does not require detailed financial information.